Marketing teams are very busy — they handle not just one but a bunch of things from website updates, print campaigns, events to online campaign management. Moreover, they are inundated with requests from clients and other departments to get stuff added, changed or removed from their various online properties. Managing their current tasks efficiently is one part but managing and tracking requests for work (or request for marketing collaterals etc.) is another. We spoke to a few of our customers and noticed that currently most of the requests happen via email. Someone from another department or a client will send them an email and they need to manually put it in their project management software. They told us that this process is painstaking, overwhelming and not to mention that some of the requests don’t make it to the system (human error!). There must be a better way to streamline marketing requests. We came up with Brightpod Send. First, set up a form to take a request using your favorite form tools like Wufoo, Typeform etc. Then, setup your unique email in your Brightpod project. That is it — send the form details to this unique email address and witness magic! 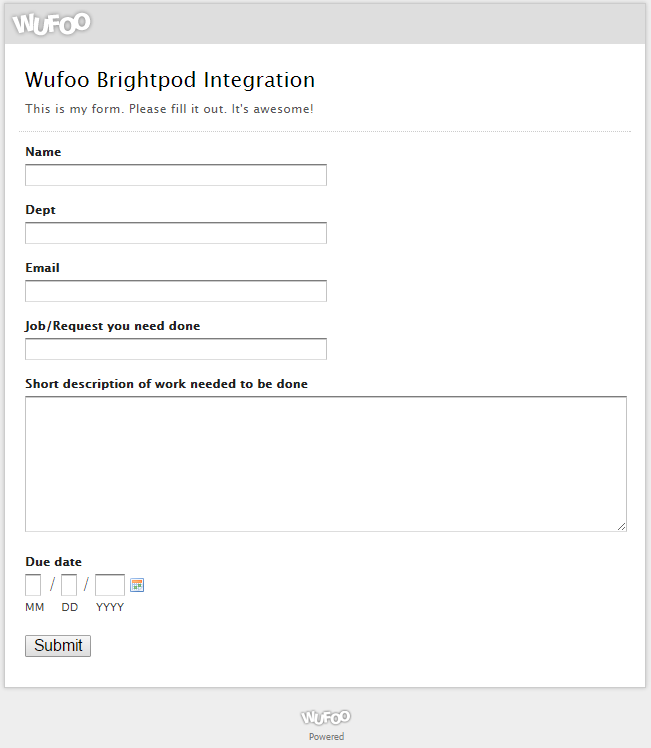 The form details (your request) is added as a task within the Brightpod project (pod). 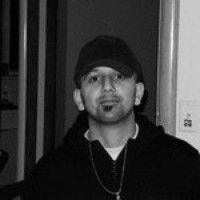 The marketing team can then sift through all the requests and then assign those that need to be tracked and done. Super simple! Lets get to the details of how this works. What you can do in Brightpod is set up what’s called Brightpod Send. Basically, a Pod can have an email address specifically for it. This email address can be used by your company to create a Task for the marketing team. Let’s go through how I think this would work. Your marketing team would set up a Pod called ‘Marketing Requests’ and use this Pod as a filter for everything that comes in from people outside the company. This would be a permanent pod and a way for people to email tasks to the Marketing team. Inside this Pod, your marketing team could set up Task Lists called ‘New’, ‘In Progress’, and ‘Completed’. Clicking on the grey gear icon next to the Pod name will take you to Brightpod Send. Here, you set up your Pod’s email address. 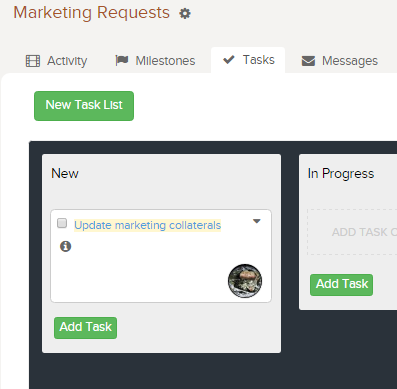 You can also specify that all incoming requests are put in the Task List ‘New’. This is so your marketing team knows anything that has come in. When you setup your Wufoo or TypeForm form, make sure to send the the form contents to the unique email address on the Send page above. 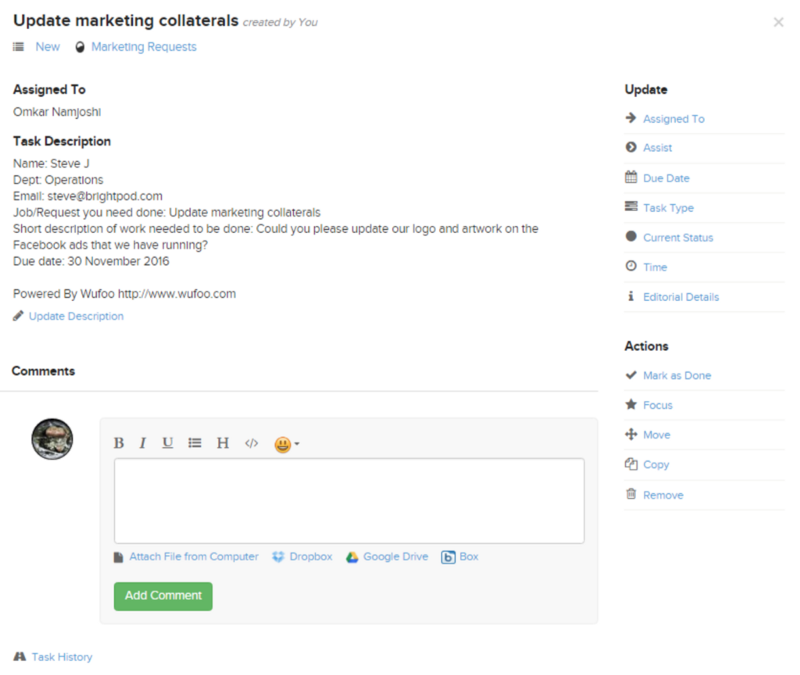 Super simple and an easy way to streamline all your marketing requests in one place! 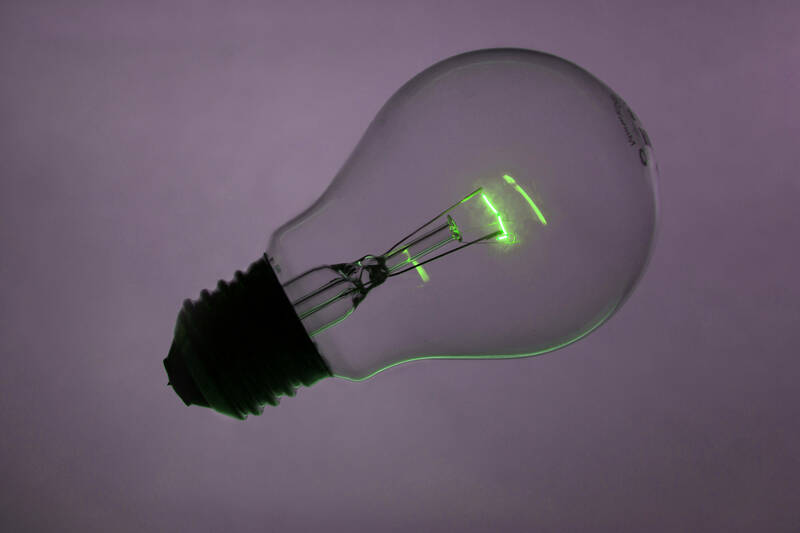 At Brightpod, I work on programming new features, maintaining existing features and designing user interface.